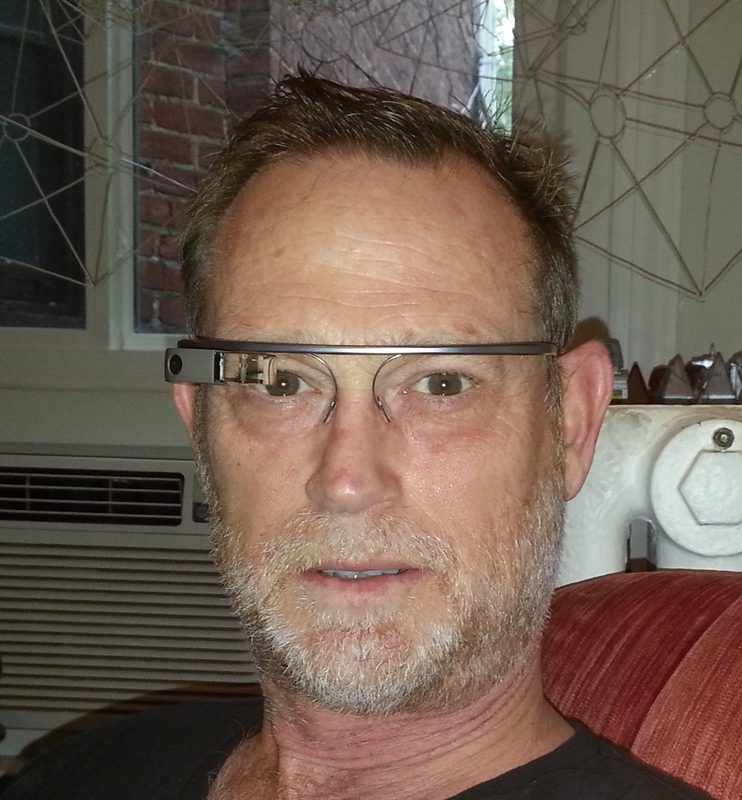 I’ve just been getting familiar with my new pair of Google Glass. I’m part of a team of four at Virginia Tech (along with Ralph Hall, Brian Mathews, and Peter Sforza a.k.a Glass Explorers) who plan to experiment with, and report on, how Glass may be used in our particular disciplines. I’ve mainly been thinking about how Glass can be used for urban planning purposes, but it requires thinking a whole new way about mobile technology applications. When GIS exploded onto the planning scene, mapping applications were fairly obvious with the reduction of manual data manipulation and cartography. New opportunities for spatial analysis were not as obvious, but over time planners have learned much from the geographers and developed and wide range of planning oriented geospatial applications. Will Glass be the next revolution? Looking through Glass it is easy to imagine how certain planning tasks can be aided by the technology. The following are a few of my thoughts about the future of Glass in planning. 1. Data collection. The definition of planning “data” expands significantly with Glass. Not only georeferenced images and video, but also georeferenced features such as street trees, buildings, road features, traffic counts, etc. Imagery can be used as raw data that can be manually processed, or apps with object recognition can be employed. While these tasks can be performed with other handheld devices, the heads-up nature of Glass can make these data collection efforts as easy as just “looking”. Documenting site inspections with voice and video recording becomes hands-free note taking. 2. Augmented reality. Again, while available on other devices, the Glass experience will be as simple as “looking”. Augmented reality capabilities will improve visualization of historic and proposed land uses as well as change over time. Plans can also be visualized as overlays of parcel map information, zoning classifications, comprehensive plan designations, etc. Non-visible features like underground utilities and rights-of-way can also be superimposed on the surrounding landscape. 3. Planning documentation. Having access to planning documents in the field can be convenient and allow access to information that otherwise would be cumbersome to query. This same concept can be applied at the planning counter. Glass can be utilized for quick information look-up (via voice recognition) on the spot such as building codes, application information, application status, additional forms, etc. Requiring electronic submission along with QR Code-friendly referencing systems can potentially speed interactions and increase the accuracy of information being provided. Also, as a planner “looks” at materials/documents, they can be scanned or copied for record keeping. Multitasking will take on a new meaning as Glass gives the planner the freedom of their hands, which could improve their ability to engage with people and use multiple materials at once. 4. Public meetings. Documenting public meetings can sometimes be a challenge, from counting those in attendance to recording testimony and capturing exhibits. Glass will allow a participant/ planner to “record” proceedings more accurately than note taking. While the same can be performed with a digital camera (for both images and video), the presence of a camera can be intrusive and unwelcome. The use of Glass does not completely solve this issue and may raise concerns about privacy. The ability to easily capture imagery and video in meetings or in the field means that planners should be sensitive to identifying individuals, vehicles (license plate numbers), and private spaces like the interior of houses through windows. This will be a growing concern as Glass becomes widely available resulting in a landscape of near complete surveillance. 5. Two other important Glass issues pointed out by Brian Mathews (http://shar.es/ImHix) are that “wireless needs to be easier” and the “power drain“. To access internet resources Glass needs to have wireless access or be tethered to an Android device. Glass storage is currently limited relative to tablets or laptops, so video storage/retrieval becomes a challenge and cloud-based services rely on internet connectivity. Mathews also notes the very limited battery storage with charging needed far more often than what we currently experience with mobile devices like cell phones. Ubiquitous connectivity and power – imagine that. Like other technology innovations that have come along, creative applications will likely explode as the technology makes its way into the mainstream. This will take time as new software is developed. (We are looking for a Glass programmer in case you’re interested, see: http://ralphphall.wordpress.com/2013/10/26/google-glass-developer/). Traditional ways of accessing information will need to be re-thought as more and more of it can be superimposed on our environment. This in itself has amazing impacts for the physical/built landscape which often includes much planning for information through signage and other cues. How will this change the tasks of the planner and the planning profession generally? I guess we will just have to wait and “see”. This entry was posted in Uncategorized and tagged Glass urban planning. Bookmark the permalink.